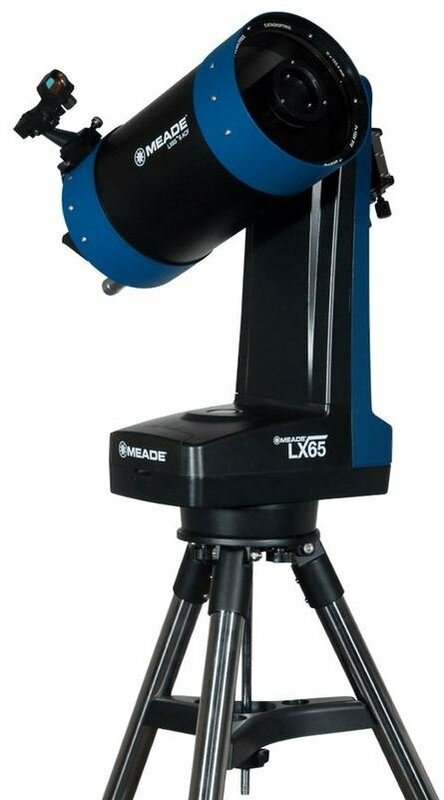 Special price on Meade LX600 telescope! The telescopes of the LX600 series from Meade Instruments are ideal for transportation under dark skies. The telescopes can be quickly set up and precisely controlled thanks to the Starlock camera system. 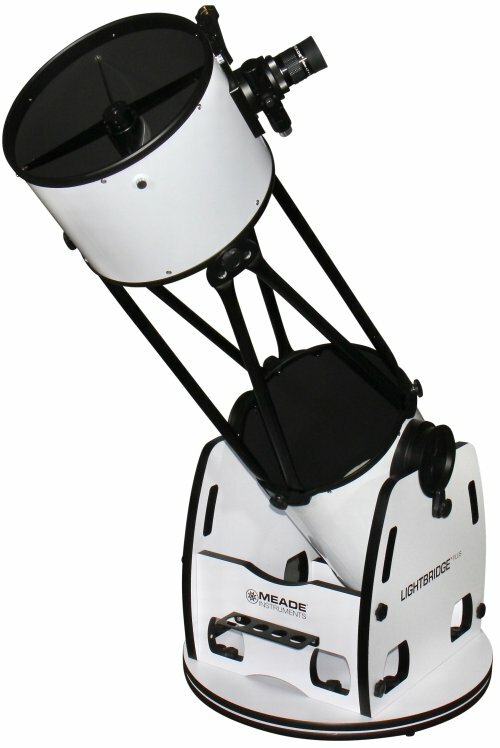 We are currently offering the Meade telescope ACF-SC 254/2032 Starlock LX600 for just 5,299 euros. Save 1,401 euros! The lenses of the LX600 series are of the type schmidt-cassegrain telescope, or SC telescope for short. These are mirrored telescopes with a hole in the main mirror which enables light to reach the ocular. The positioning of this ocular has the advantage of barely changing the position used to look into the ocular when adjusting to look at various objects in the sky: Once the telescope has been adjusted to a height that is comfortable for you, it remains at that height. The SC telescopes from Meade are fitted with a special corrective lens that counteracts the typical imaging faults of SC lenses. Meade calls this optical design ACF (Advanced Coma-Free). The observer not only has a sharp focus of the stars in the centre, but also of those on the edge of the viewing field. The SC lenses are, by the nature of their construction, very compact and, therefore, easy to transport. These lenses usually have an aperture ration of f/10, thus a very high focal distance. The LX600 telescopes have an aperture ratio of f/8. This makes them even more compact and they require a shorter exposure time for photography. The LX600 telescopes are permanently installed in a very stable fork mount. The disadvantage of this mounting method is its high weight, compared to telescope systems in which the mount can be completely disconnected from the lens. With the LX600 telescopes, you can split the fork mount into two pieces, thus eliminating this disadvantage, at least in part. 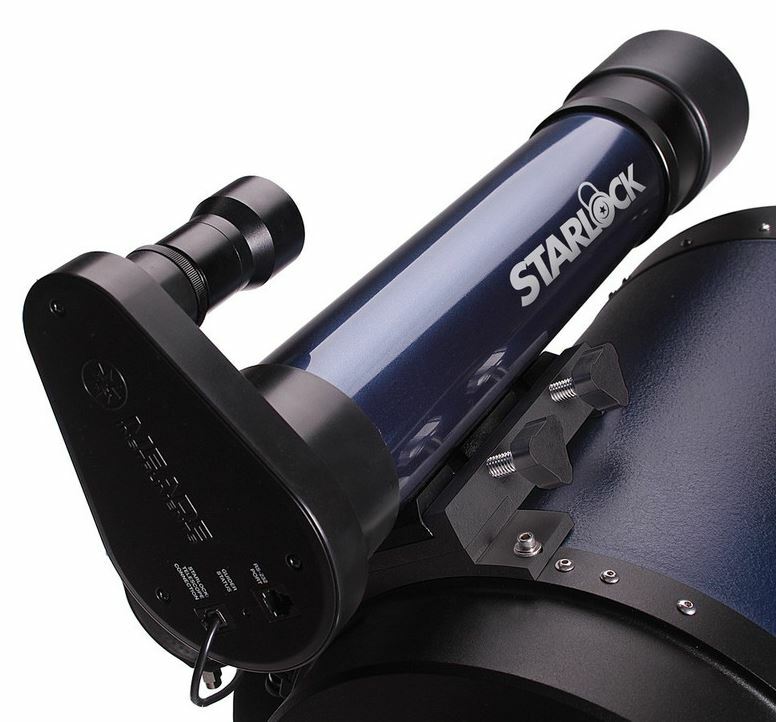 A real highlight of the LX600 telescopes is the Starlock system, which consists of two cameras. These take on a number of tasks: Automatic correction of the periodic error, precise location of the selected object in the sky and, in particular, autoguiding. The latter refers to the fact that the Starlock system always maintains the selected sky objects precisely in the telescope’s field of view – an important requirement when it comes to astrophotography! Here, it is carried out automatically without the need for a separate computer. And speaking of astrophotography: If you do not only wish to observe, but also to record long-exposures of objects with weak light, the LX600 telescope can be retrofitted with an X wedge at any time. This polar wedge converts every LX600 with azimuthal set-up into a camera with parallactic mount. I can confidently say that it’s the best telescope of its type that I’ve yet tested for astrophotography. 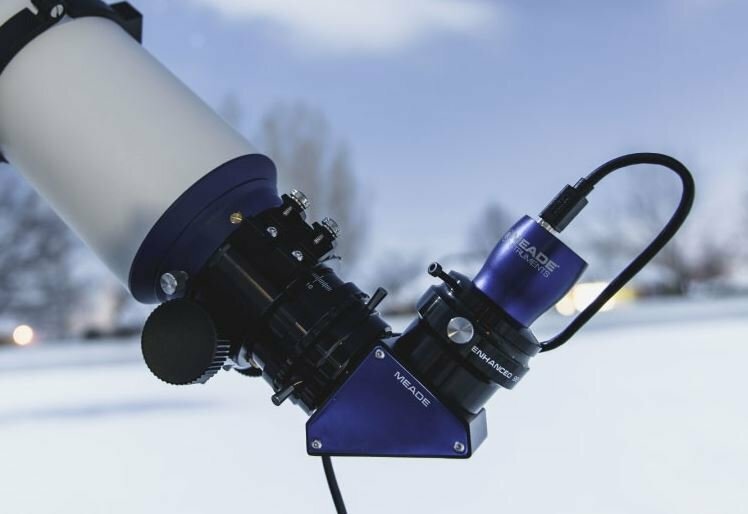 Do not miss out on the opportunity to acquire a very advanced telescope system at a relatively cost-effective price: Our special offer for the ACF-SC 254/2032 Starlock LX600 is valid only until 30 June 2019! CEM series mounts from iOptron are already widely used in the US and are becoming increasingly well known in Europe too. 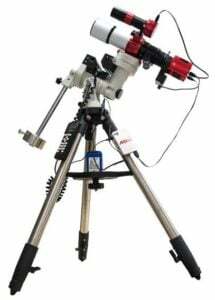 The CEM25P mount for portable astrophotography with Newtonian telescopes of up to 6 inches aperture and the CEM60 mount for use in observatories have proved particularly popular. With their new CEM40 and CEM40-EC with encoders, iOptron now provides a middle range mount capable of carrying loads of up to 18 kilograms. The CEM40 is hence ideally suited for astrophotography with telescopes of up to 8 inches (200 millimetres) in aperture. The abbreviation CEM stands for centre-balance equatorial mount, i.e. for equatorial mounts which are supported at their centre of gravity. This design ensures an excellent relation between weight and carrying capacity. The CEM40 weighs only 7 kilograms and yet can carry OTAs up to 2.5 times heavier. The amazing carrying capacity of CEM mounts has been constantly reaffirmed by our customers – especially regarding the CEM25P. The CEM40 comes equipped with an electronic pole finder, known as ‘iPolar’. A laptop is required to operate this however, so the CEM40 is particularly suitable for astrophotographers who already use a laptop for their camera. iPolar and built-in GPS provide easy and accurate alignment and GoTo computer control initialization. The encoders installed in the CEM40-EC version ensure very high GoTo accuracy and allow worm gear permanent periodic error correction – a problem that all mounts suffer from. The CEM40-EC does away with the need for guiding with your astrophotography. The CEM family now covers a wide range of load carrying capacities, offering a suitable model for every budget! Luminescent emission nebulae, supernova remnants and planetary nebulae are all particularly beautiful objects pertaining to the night sky. This applies both to the simple process of visual observation, as well as to astrophotography. 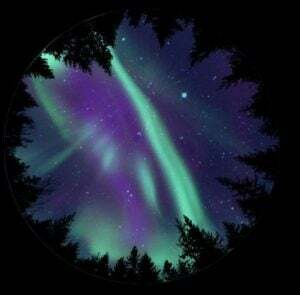 Nature illuminates such nebulae in specific spectral colours: the red light of hydrogen, the blue-green light of oxygen ions and also in the colours of sulphur and nitrogen ions. Nebula filters enable these colours to pass through whilst blocking the diffused light of the natural luminance of the sky and of light pollution. The result is a marked increase in contrast. 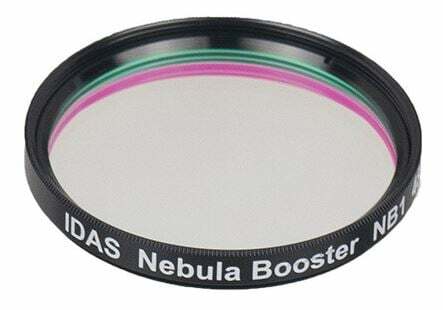 With the Nebula Booster NB1, the filter specialists IDAS are introducing a new, very high-performing filter of this type onto the market, and one that is not overly expensive! 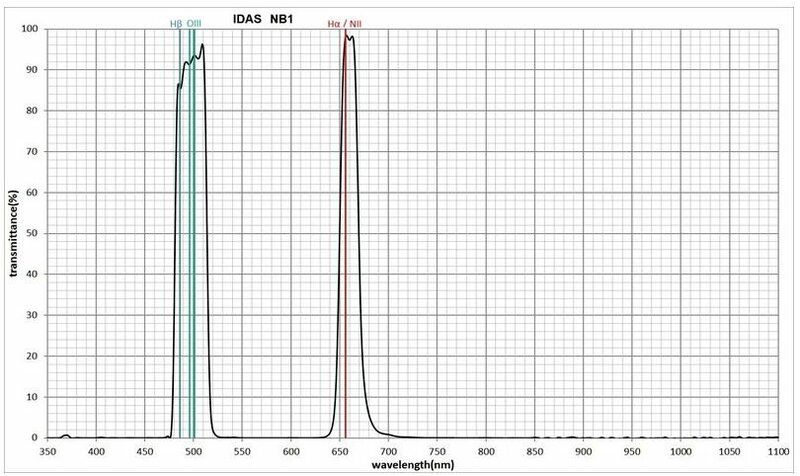 As the transmission curve shows, the filter has high transmission and is permeable for all relevant spectral lines, with a surprisingly narrow passband: A real nebula intensifier! The filter is ideal for photographing large nebula regions since it enables the typical colours of these objects to pass and blocks the disruptive skyglow. The filter quickly and completely cuts off near infrared up to 1100 nanometres. This is important since cameras are sensitive to this range, but telescopic lenses are optimised for the visible spectral range and are faulty in the infrared range. The Nebula Booster NB1 is available with two versions which cover both of the common filter thread sizes and can be screw-fitted to the housings of eyepieces or cameras. Find the Right Binoculars or Night Vision Device – New Models for 2019! Celestron‘s Trailseeker ED binoculars are a brand new article on the market. The popular and already available Trailseeker series has now been extended with the use of high-quality ED glass. ED glass, also known as ‘Extra Low Dispersion Glass‘ reduces chromatic aberration to a minimum. That is a particular advantage when the lighting conditions are unfavourable, such as in the twilight. Despite it often being good weather in the Spring, it does still get dark quite early. But these binoculars will let you continue observing animals and birds well into the early evening. Savour every minute of your time outdoors in the countryside – your Trailseeker ED binoculars will help you! Speaking of the night: how about a night vision device? Not without reason, the demand for night vision devices is higher than ever. Only a few years ago, these devices were not always particularly technically sophisticated, unwieldy and, most of all, expensive. Thankfully, those days are now over – as with the new Minox NVD 650 night vision device. The 6X magnification, with up to 30X digital zoom, allows you to see details in the dark. 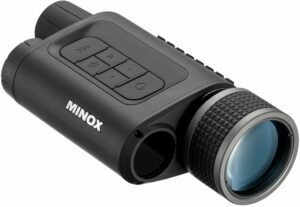 But what is really special is its range – with details still visible up to 350m away – putting the Minox NVD 650 firmly in the top echelon of 1st generation night vision devices! The photos and HD videos you take with it can be saved to a Micro-SD card and shown to friends and family later. And, last but not least, the device is really great value for money. 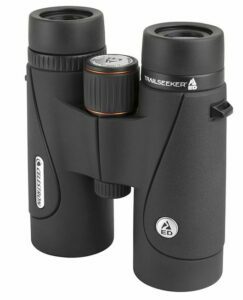 At around 700 grams, Frontier ED X 10×42 binoculars from Hawke are ideally suitable for the discerning nature-watcher who doesn’t want to miss a thing. Here too, everything is down to the use of low dispersion ED glass together with an extremely compact design. The eyepieces can be pushed together to only 105mm separation. 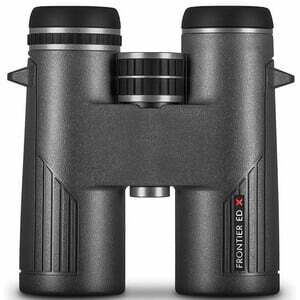 Those who find compact binoculars to be too small and unsophisticated will be more than satisfied with the Frontier ED X. They are nitrogen-filled to prevent fogging and equipped with a high-quality set of accessories, leaving nothing to be desired by the outdoor enthusiast. Explore all the new binoculars and optical instruments from reputable manufactures on our website and take advantage of our huge selection. Now is exactly the right time to buy, as availability is short but there is still sufficient stock. In any case, you are bound to enjoy some great moments nature watching! When it comes to astrophotography, the right focus is the most important thing. Even the best optics only deliver sharp images if the focus is spot on. A motorized focus has two advantages over manual focusing: it is vibration-free and very precise. If you remotely control your telescope via your PC, you definitely need motorization. For the very popular SC telescopes of the Celestron brand, numerous solutions from different suppliers have been available. 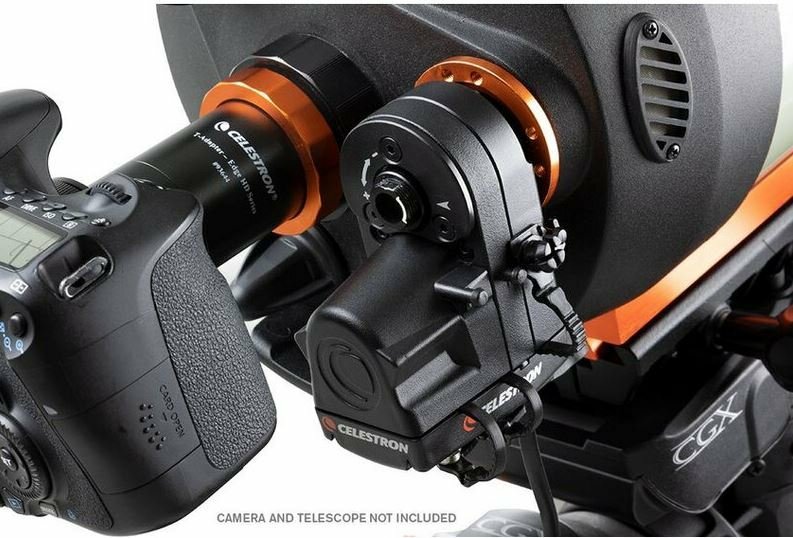 Celestron now offers its own model, the focus motor for SC and EdgeHD optics. Celestron focus motor for SC and EdgeHD optics. The motor fits all SC, EdgeHD and RASA optics, as well as the two new Maksutovs with CGEM-II and CGX mounts. Exceptions are optics built before 2006 and the 9.25″ EdgeHD. An additional adapter is required for the RASA 1100, as the RASA 1100 is already supplied with a FeatherTouch micro-focus. The adapter requires you to dismantle the focuser partially to fit the motor. If you are using a Celestron mount, power is simply supplied via the mount’s AUX port. A cable for this is included in the scope of delivery. If all AUX ports on your mount are already occupied, simply use the Celestron Aux Port Splitter. With the NexStar+ controller: Simply press the MENU button, select Focuser and you can use the two arrow keys to control the motor and adjust its speed. Version 5.30+ of the installed firmware is required. You can update your Nexstar control via the Internet at any time. The controller is not only suitable for visual observation, but also for astrophotography with a DSLR, i.e. without a laptop. With a laptop or PC: If you operate your telescope remotely or have connected an astrophotography camera, it is best to use the free program Celestron Focuser Utility for Windows. For this purpose, you need to connect the NexStar hand controller to the computer via USB, not the focus motor itself. The new CGX and CGX-L mounts can be controlled with the Celestron PWI software. The focuser can also be addressed via this program. The CGX and CGX-L mounts can be connected directly to the laptop or PC via USB without manual control. Without a Celestron mount: If you have a Celestron optic mounted on another brand’s mount, you can control the focus motor via the USB port. The USB port should supply 900mA. As an alternative to the USB power supply, you can also operate the focus motor via main power or a Powertank. However, a power supply unit or power cable is not included in the scope of delivery. The Celestron focus motor for SC and EdgeHD optics is a really useful accessory that is easy to adapt and operate. No other telescope produces the natural experience of the night sky as directly as a Dobson. Completely without a camera or any other electronic deflection – armed only with an infra-red lamp and star chart – discover nebulae, star clusters and galaxies. Apart from good weather, two things are necessary to enjoy observation: As large a telescope as possible and a dark night sky. A Dobson is a reflector telescope with a relatively simple base. So, for your money, you’ll get a telescope that is bigger than others. The problem with the dark sky is, however, more difficult to solve. The Dobson telescope should fit in a car so you can drive to a good location for observing. This Dobson in the LightBridge series can be taken apart without tools. As the figure shows, the telescope can be taken apart into relatively small parts. From left to right, you can see the rocker box, the mirror case, the tube rods and the carrier ring with the secondary mirror. On location, the truss tube Dobson can be built in a few minutes without any tools. The manufacturer, Meade, was one of the first, with the Dobson telescopes in the LightBridge series to use this form of construction and at a price that is affordable for amateur astronomers. We can now offer the improved version, the LightBridge Plus. The new LightBridge Plus has an improved rocker box. It is somewhat lighter, has notched carry handles, a pre-installed eyepiece tray and a friction brake for the height axis. The box can be taken apart without tools so it can be easily transported. 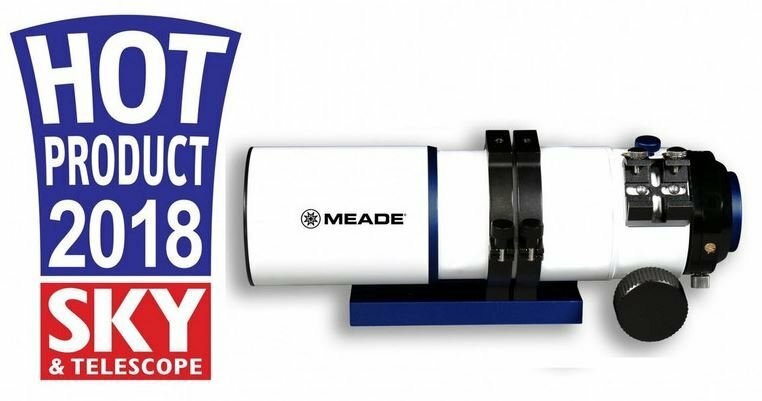 Meade now fits these telescopes with an improved eyepiece holder that has a fine-adjustment knob for precision focusing and comes with a high-quality 2-inch eyepiece with a 26-mm focal length. As with the previous version, the LightBridge Plus has a main mirror fan for faster alignment of the mirror with the ambient temperature. As expected, the optics are fully adjustable. Thanks to the fast aperture ratio, the tube is relatively short and the viewing height at the zenith is not too high. If you’ve always wanted a telescope with a large aperture, but just didn’t know how you’d carry it around, a LightBridge Plus is a very good choice at a fair price! Columbus, one of the leading globe manufacturers, has a tradition-rich history to show for itself. Since the 1950s, the Duo-Series has long been produced in southern Germany by hand. Yet, hand-made and tradition do not exclude innovative ideas. Columbus remains true to that concept, even today: the new 4D Globe App for iPhone and iPad gives your Duo-Globe a completely new dimension! 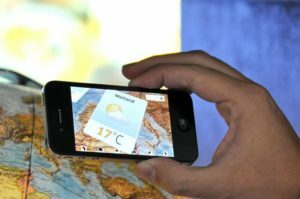 As a result of technological advances, the app can display additional information on top of the globe, such as weather data or geographic details. A completely new animation of the Earth’s inner makeup create an awe-inspiring experience. All Duo-Globes, even older models, have the makings of augmented reality and only with a few taps of a smartphone. Check out our selection of Duo-Globes here. . The app is free to download in the Apple Appstore. Other globe-makers have also jumped on the Augmented Reality bandwagon. Oregon Scientific has a series of new (childrens’) globes on the market, which take young adventurers on at trip around the world! Special 3D effects with animals dinosaurs and special landscapes creates an exciting tour of discovery at every turn and for the whole family. 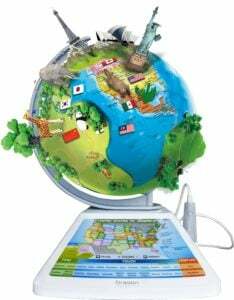 The addition of a massive amount of interesting facts about continents, countries and cultures make the globes an excellent educational tool! Augmented Reality paired with precise 3D printing technology: the US-based company, AstroReality has combined the two, to create incredibly, detail-rich and unique relief globes. 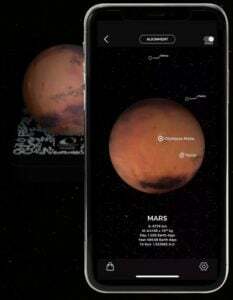 The app allows you to explore the Martian surface, for example, with a plethora of details. Check out for yourself what you can discover on Mars – no personal interplanetary spaceship necessary. The many other planet models, as well as EARTH and Lunar Pro, are not just pleasing to the eye. Every space enthusiast will not want to let go of any AstroReality globe! 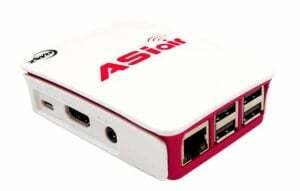 ASIAIR – astrophotography has never been so easy! The brand ZWO is, especially thanks to its powerful and user-friendly CMOS astrocameras, a frequently heard name in amateur astronomy. With the ASIAIR control unit, ZWO now promises to fundamentally change the astrophotography scene! It’s a compact computer (Raspberry Pi), that is secured to the telescope of the mount. The device can do everything you expect a computerised telescope system of the 21st century to do! Mount, camera, filter wheel, and autoguider are connected with the ASIAIR. Via an app for Android or iOS, everything can be controlled centrally and wirelessly via WLAN from the smartphone or tablet. You’ll no longer need to take your laptop with you to autoguide and to use cooled astrocameras. There are also advanced functions such as plate solving at the press of a button. ASIASI communicates with the telescope mounts via the instrument neutral distributed interface (INDI) and so is compatible with most available GoTo mounts. The only snag: The device only supports ZWO cameras, autoguiders and filter wheels. Other manufacturers like PrimaLuceLab with the EAGLE 2 are following similar approaches to computerisation. This one may feature higher performance and a wider range of functions, but there’s also the user-friendly ASIAIR for just a fraction of the price. Over 60,000 twinkling stars without leaving your home! Sound familiar? True, you already know about the popular Sega Toys Home Planetarium Homestar Pro Original. 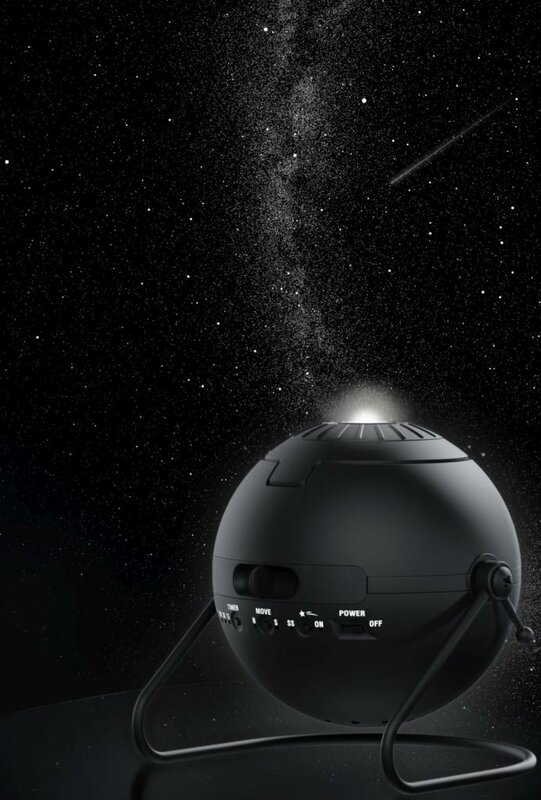 However, its successor is now available and is the best performing and most progressive home planetarium on the market: Sega Toys Homestar Flux. From an optical point of view, Sega Toys has given the Flux a new paint job, being now available in matte black. A highlight is its high quality and secure packaging. Flux delivers awe-inspiring images to real science fiction fans, by reminding us of many classic space movies. Enjoy the Stars from Your Couch! The design is not the only change. The technology has upped its game with a light intensity of 5 watt, illuminating your ceiling with not only brighter stars, but also great contrast! The focus has been improved, to make it easier to adjust the crispness of the stars. Rotating the projecting lens has also been improved, which means more relaxing stargazing for you and your family. For the new Flux, Sega Toys has also created a variety of new slides, complementing the two already included in the box. Experience the northern lights with the “Aurora Borealis” slide. While the solar system slide gives you the feeling of really being in space, allowing our neighboring planets to grace your ceiling. The new slides are additionally backwards compatible with the Flux’s predecessor Homestar Pro Original. The Homestar Flux is in stock and a fantastic gift for the holiday season! Don’t wait to get your hands on one and order your Flux today! The almighty has crossed the pond: the brand-new Meade telescopes of the Series LX65 and LX85. 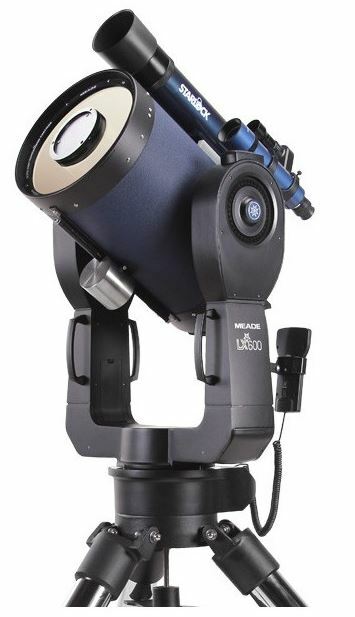 The Meade Maksutov Telescope MC 127/1900 UHTC LX65 GoTo is immediately available and thanks to its high focal length is excellent for lunar and planetary observations. The optics capture enough light, that even far-off objects show details, such as star clusters. 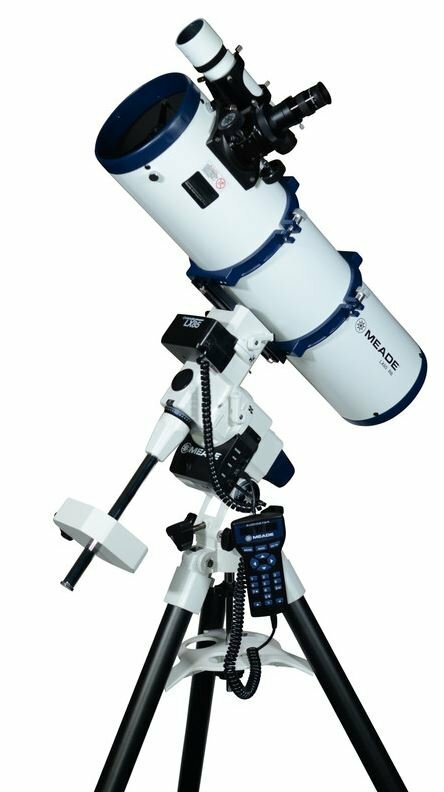 As with every LX65, this telescope features an azimuthal single-arm mount, which is light, easy to disassemble and even has an integrated battery compartment. The AudioStar Handheld Controller makes it a breeze for beginners to find their way around the sky, while the database features more than 30,000 objects. Conclusion: An excellent telescope for beginners or planet specialists, who are looking for a transportable telescope. The LX85 Series has just arrived with several models. These telescopes are delivered with the new LX85 mount. As compared to the LX65, the LX85 series features a parallactic mount. This sort of build features an axel which is parallel to the Earth’s axis, a trick which prevents the celestial objects from drifting in the telescope. Such a feature is extremely important for longer exposures in Astrophotography. The LX85 is an inexpensive mid-sized mount, which also has an AudioStar controller. 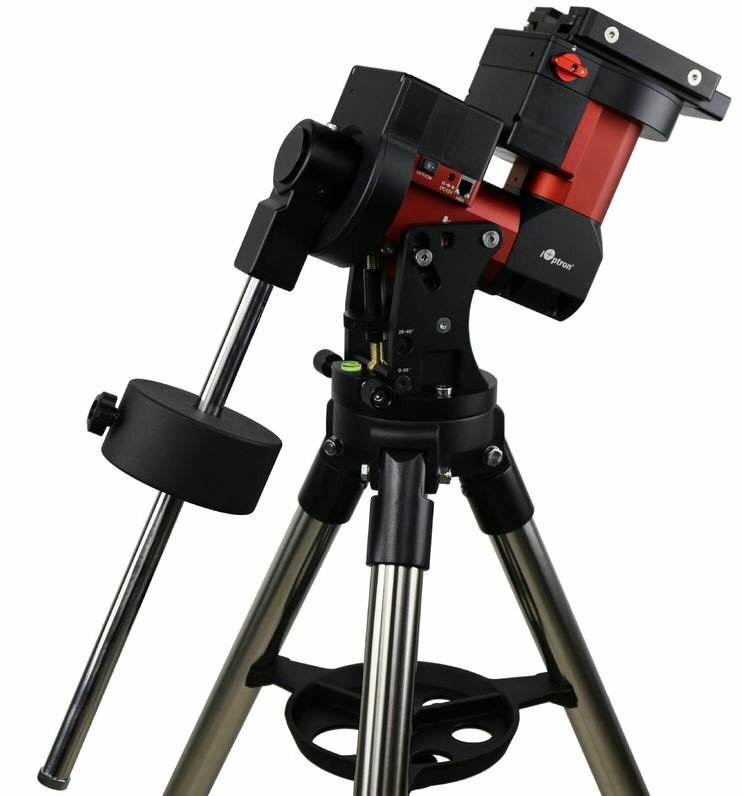 The Meade Teleskop N 150/750 LX85 GoTo is available now. Equipped with a Newton-style telescope with a 150 mm diameter, it features a parabolic mirror with 750 mm focal length. The combination of 150/750 is very popular and can be found in nearly every telescope brand. The mirror is big enough to be able to observe faint galaxies under a dark sky. The quick focal ratio of f/5 makes it great for photography. The LX85 is also available as a Newton Telescope with 200mm Mirror. For purely visual observations, it is a great choice, while a 150 mm Newton telescope would be less ideal for astrophotography, since stability is so important in taking photos. For friends of lens-based telescopes, we offer Achromats, namely the Meade Telescope AC 120/700 LX85 GoTo and the Astrograph AP 70/350 Series 6000 LX85 GoTo. Last but not least, we also offer something special for astrophotography, which is also available without a mount: Meade AP 70/350 Series 6000 Astrograph OTA. This very interesting set-up for astrophotographers even received the Hot Product 2018 Award from Sky & Telescope! Since we are on the subject of photography, we would like to share two camera tips from Meade: Have a look at version 4 of the legendary Deep Sky Imager. The cooled cameras can be used universally. The price-worthy LPI-G Cameras meanwhile are real planetary specials and perfect for beginners. The LPI-G-Kameras can also arrive just in time for the holidays!